Overtime Pay Requirements | Human Resources Inc.
Do you know when to pay overtime and when not to? Are You Following The Most Important Payroll Procedures? Download Our Checklist Here. Each year, hundreds of millions of dollars are awarded through lawsuits to collect unpaid overtime wages on behalf of employees. Many businesses are keenly deficient in their knowledge of the Fair Labor Standards Act (FLSA) and fail to understand who is eligible for overtime and who is not. It is not dictated by job title, but job duties. To avoid unwanted hour and wage litigation or to find out whether you are paying someone overtime by mistake, business owners and hiring managers should consult with the labor law specialists at Human Resources, Inc.
Each employer is required to classify each worker as exempt or non-exempt. Non-exempt employees are covered by FLSA regulations while exempt employees are not. 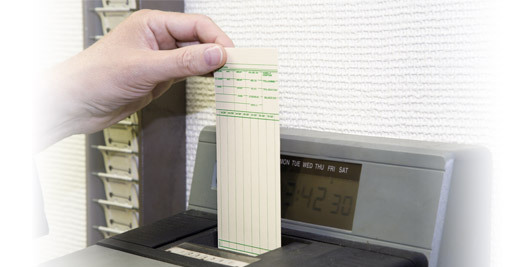 Non-Exempt: This classification of employee is eligible for overtime and should be paid one-and-a-half times their hourly rate for all hours worked over 40 in one 7-day period. This can be an hourly or salaried employee. Exempt: This classification of employee is not eligible for overtime. Certain tests have been established to ascertain whether these types of employees are eligible for overtime. Unfortunately, they are currently very open to interpretation and tend to create a bit of a grey area. Stipulations such as what constitutes manual versus non-manual work and whether an employee uses their own discretion and judgment when it comes to matters of significance come into play. Each state also has their own laws in addition to the FLSA standards. Human Resources, Inc. is here to help! Speak to one of our human resources professionals today to assist your business classify exempt and non-exempt employees properly.